The man said he was only trying to take a photo with the girl. 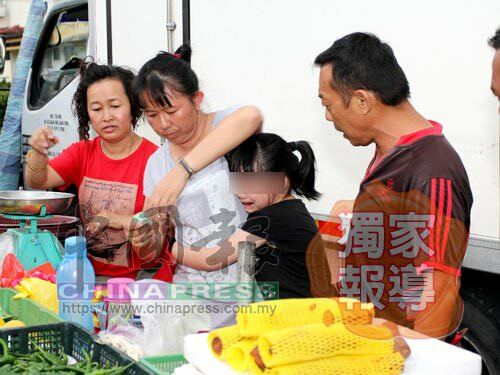 China Press reported that the incident happened near her family's stall selling vegetables at around 6.30pm. 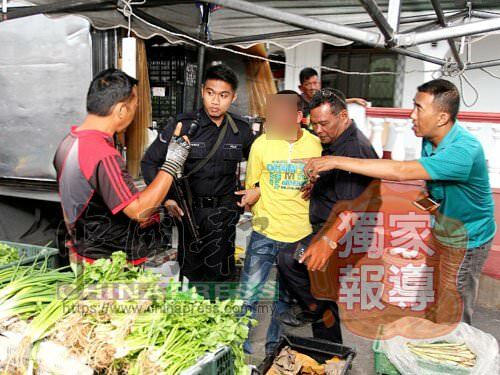 According to the victim's father, the man had bought vegetables from the family's stall before the victim's mother heard her daughter crying loudly all of a sudden. The victim's mother asked her husband to check on their daughter, and he found the man attempting to drag his daughter. Singapore's Channel 8 News reported that a witness, Mr. Li heard the victim's father screaming and thought the family's stall was getting robbed. He only found out later that the Rohingya man was trying to abduct the victim, and helped to prevent the man from escaping. Kaixin Li claimed that her family members told her about the incident, and she decided to put it up on Facebook. According to her Facebook post, the victim was helping her mother to pick up coins from the ground when the man quickly carried her. The victim's mother shouted at him and tried to pull her daughter away from the man, but he didn't give up until the victim's father slapped him. According to China Press, the victim was still shaking with fear when her father wanted to bring her to lodge a report at the Kuala Kangsar police station yesterday. She was then left with her mother at the family's stall in the night market. 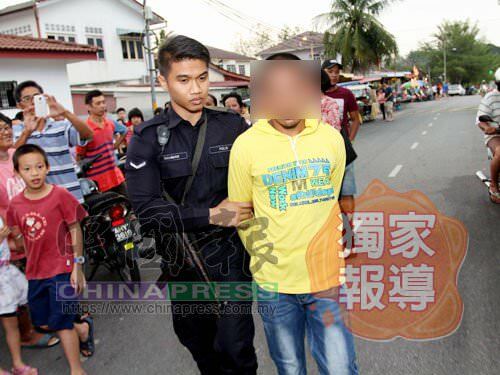 Meanwhile, Channel 8 News also reported that the 21-year-old man, who is now a scavenger in Kuala Kangsar, claimed that he only wanted to take a photo with the victim. The foreigner was trying to find a way to get to Alor Setar with her daughter. Satim Diman also suggested that the state government should build its own plastic factory in Selangor.